This tract shares the hope offered to us when Christ proclaimed that his work on the cross was not just beginning—but “finished”! Jesus Christ “also hath once suffered for sins, the just for the unjust [us! ], that He might bring us to God” (1 Peter 3:18). He paid the debt of sin we couldn’t pay…a debt he didn’t owe! Did you get that? The Son of God willingly took the judgment of your sins and mine to save us from suffering our sins’ consequences for eternity in hell! Imagine that! We—sinners by nature and choice—can be declared “righteous” before God because Jesus paid our debt completely! Just before Jesus breathed His last breath on the cross, He gathered His strength and cried out for all to hear, “It…is…finished!” (John 19:30). No religion of the world has such a substitution plan for the forgiveness of sin! No religion has a resurrected Savior! 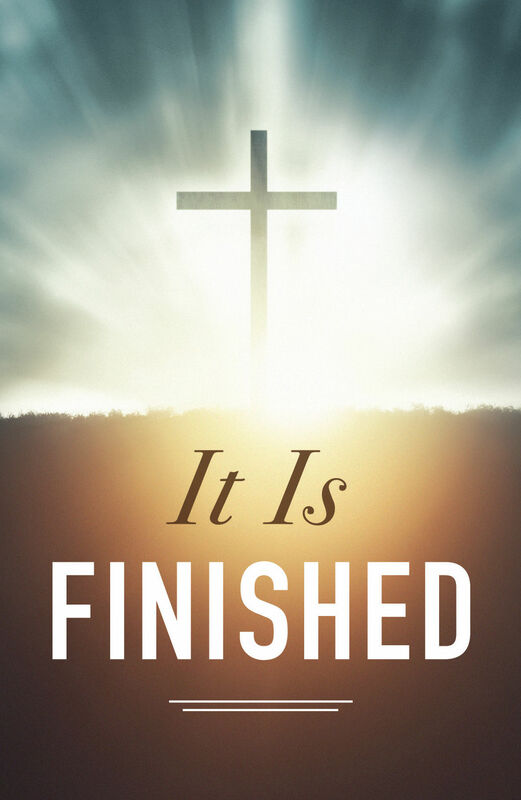 “It is finished” and “He has risen” sets Christianity far apart from all “religions.” There is nothing we could add to make our salvation possible. God simply requires that we place our absolute trust in Him and accept His offer of salvation! “For God so loved the world, that He gave His only begotten Son [to die for us], that whosoever believeth in Him should not perish, but have everlasting life….For the wages of sin is death; but the gift of God is eternal life through Jesus Christ our Lord” (John 3:16, Romans 6:23).